Change in lifestyle accompanied by proper stress management and indulgence in cognitive activities and socialising can help manage and reduce the risk factors for Alzheimer’s disease, experts said. Though Alzheimer’s is not curable, but lifestyle modifications like engaging in physical activity, eating the right diet and socialising can delay the onset of the disease, they said. “Alzheimer’s though is not curable as yet, being involved in activities that keep the brain active is the best way to mitigate the risks associated with Alzheimer’s,” said Manjari Tripathi, professor of neurology at AIIMS. Tripathi was speaking to reporters at a conference on “How to reduce risks of Alzheimer’s and the new innovations in its treatment”, organised by the Delhi chapter of the Alzheimer’s and Related Disorders Society of India (ARDSI). ARDSI in collaboration with the Netherlands embassy will Sep 19 host a discussion on Alzheimer’s and also release the World Alzheimer’s Report 2014. She said physical activity, regular check-ups and abstaining from smoking and drinking were very important for every human to avoid Alzheimer’s. “It is important, as in the initial stages, the patients themselves do not realise that they are suffering from memory loss and very often consider it a minor problem,” she said. According to scientific estimates published worldwide, a new case of Alzheimer’s arises every four seconds in the world, with the number of people with it set to double every 20 years. The studies also say that by 2040, over 82 million elderly people are expected to have Alzheimer’s if the current numbers hold and no preventive treatment become available. Renu Vohra, member secretary of ARDSI’s Delhi chapter, said: “A brain-healthy diet is one that reduces the risk of heart disorders and keeps a check on diabetes. The intake of fish oils and folate reduces the dementia risk.” “Miling with friends and family members and having a large social network boost the emotional quotient. Stress clogs the mind and makes it virtually inactive, while the support system provides the healing and keeps one upbeat, at individual one should train the mind to stay calm and positive,” Vohra said. Approximately 44 million people live with dementia worldwide, according to the Alzheimer’s Association. By 2050, that number is expected to more than triple to 115 million. 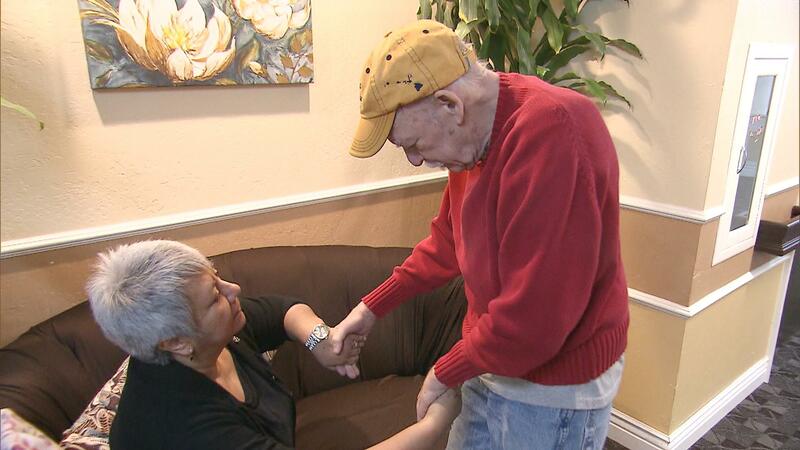 High blood pressure is usually called the “silent killer.” However, a new study from the University of California now suggests that if you’re over 90, hypertension can save the life of your brain cells. Hypertension may protect against dementia in people over age 90, the study authors say. The researchers followed 625 participants who developed high blood pressure in their 90s for up to 10 years and found that their risk for dementia was 55% lower than people without a history of hypertension. Nevertheless, the study doesn’t promote hypertension in the elderly, given that high blood pressure is related to other bad outcomes. “I don’t think it says if I find somebody who’s doing well at age 90, whose blood pressure is 120/80, we should feed them salt to bump their blood pressure up,” says William Klunk, vice chair of the Alzheimer’s Association Medical and Scientific Advisory Council. The study simply shows that when it comes to normal levels of blood pressure, it might not be a one-size-fits-all with respect to age, he says. Seniors can lower their risk for late-life cognitive impairment and Alzheimer’s disease with a number of lifestyle changes, new research suggests. A two-year clinical trial from Karolinska Institutet and the Finnish Institute for Health included 1,260 participants aged 60 to 77. One part of the group received a “lifestyle-package,” including nutritional guidance, physical exercise, management of heart health risk factors, cognitive training and social activities. The control group received standard health advice. After two years, the lifestyle-intervention group did much better in tests of memory and thinking. Middle-aged people who were avid game-players (think crosswords, checkers, cards) tended to have bigger brains than people who did not play games, according to a recent study that looked at brain scans. Researchers looked specifically at certain parts of participants’ brains. The volume among game-players was greater in areas that tend to be damaged by Alzheimer’s disease, suggesting the potential for delaying — maybe even avoiding — the disease. People who kept their brains pumped scored higher on tests of their thinking ability. Coleman suggests mixing it up: Try potentially stimulating activities like learning a new language or switching from reading nonfiction to fiction — anything that poses a cognitive challenge. Exercise seems to slow the descent toward dementia as well. 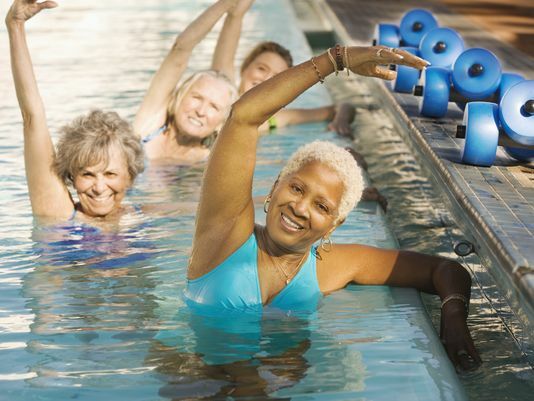 Two sets of data from the Mayo Clinic Study of Aging suggest that exercise may positively influence how mild cognitive impairment (a precursor to dementia) and dementia develop. In one group of patients with mild cognitive impairment, exercising seemed to protect against developing dementia. Data on a different group of healthy patients who exercised — either lightly or vigorously — showed they were less likely to be diagnosed with cognitive impairment. In the future, a test of your sense of smell may help doctors predict your risk of developing Alzheimer’s disease. In two separate studies, scientists found that people who were unable to identify certain odors were more likely to experience cognitive impairment. The researchers believe that brain cells crucial to a person’s sense of smell are killed in the early stages of dementia. Researchers say this information could help doctors create a smell test to detect Alzheimer’s earlier. Early detection means early intervention and treatment to slow the progression of the disease. Doctors today can only diagnose Alzheimer’s disease once it has caused significant brain damage. “In the face of the growing worldwide Alzheimer’s disease epidemic, there is a pressing need for simple, less invasive diagnostic tests that will identify the risk of Alzheimer’s much earlier in the disease process,” Heather Snyder, director of medical and scientific operations for the Alzheimer’s Association, said in a statement. “It’s one of those things that’s kind of known but has not been researched so it’s great this was done,” Clair told Reuters Health. The patients were not able to consent to the study due to their cognitive state, so their legal guardians or main caregivers gave consent. Ayelet Dassa, a music therapist and the lead author of the study, selected 24 songs popular in Israel between 1930 and the late 1950s for the sessions. “In Israel especially for this group, they came here or were born when the state was becoming independent,” Dassa told Reuters Health. The songs she chose were part of the foundation of the patients’ adult identity, which was tied to their country and their heritage, she said. Dassa published the study in the Journal of Music Therapy as part of her doctoral dissertation with the help of her advisor, Dorit Amir, in the music department of Bar Ilan University in Ramat-Gan, Israel. “A large part of the conversation was about how they sang as individuals (and) as a group, and they gave compliments to each other,” she said. She has seen people who couldn’t speak or communicate in any way suddenly start singing, she said. The study was inspired by one particular example: she sang to an older woman who was unable to communicate but would scream a mix of Hebrew and English. The woman couldn’t sing along, but she quieted and made eye contact. Families only need basic instruction to get started, she said. But singing may not always help these patients, Clair noted. 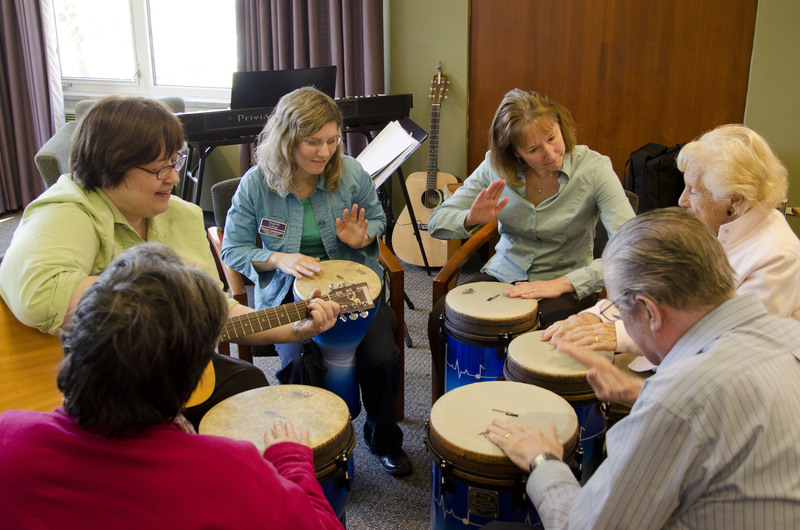 Though some patients may start talking and commenting on music or about past memories triggered by the music, they will likely still be unable to engage in most conversation about present-day topics. And while some songs elicit happy memories from the past, others may be linked to unhappy memories. “If you happen to find a piece of music with which there are painful memories associated it could cause distress, so if you’re singing to the loved one and they react by pulling away or grimacing, immediately stop what you’re doing and switch to another song,” Clair cautioned. New research has revealed that Alzheimer’s key biomarker could be identified in the retina and lens of the eye, moreover, the ability to identify odors might indicate the development of cognitive impairment to Alzheimer’s disease in its early ages. The study found that the decreased ability to identify odors was significantly associated with loss of brain cell function and progression to Alzheimer’s disease. In two other studies, the level of beta-amyloid detected in the eye was significantly correlated with the burden of beta-amyloid in the brain and allowed researchers to accurately identify the people with Alzheimer’s in the studies. Beta-amyloid protein is the primary material found in the sticky brain “plaques” characteristic of Alzheimer’s disease. It was known to build up in the brain many years before typical Alzheimer’s symptoms of memory loss and other cognitive problems. Heather Snyder, Ph.D., said that advanced researches were needed in the very promising area of Alzheimer’s biomarkers because early detection was essential for early intervention and prevention, when new treatments become available. Clinically, at this time it was only possible to detect Alzheimer’s late in its development, when significant brain damage has already occurred, however, biological markers of Alzheimer’s disease might be able to detect it at an earlier stage. British scientists have made a “major step forward” in developing a blood test to predict the onset of Alzheimer’s disease. Research in more than 1,000 people has identified a set of proteins in the blood which can predict the start of the dementia with 87% accuracy. The findings, published in the journal Alzheimer’s & Dementia, will be used to improve trials for new dementia drugs. Experts warned that the test was not yet ready for doctors’ surgeries. Research into treatments for Alzheimer’s disease has been plagued by failure. Between 2002 and 2012, 99.6% of trials aimed at preventing or reversing the disease flopped. Doctors believe the failure is down to treating patients when it is already too late, since symptoms appear around a decade after the start of the disease. Identifying patients earlier is one of the priorities for dementia research. The research group, which combines university and industry scientists, looked for differences in the blood of 452 healthy people, 220 with mild cognitive impairment and 476 with Alzheimer’s disease. They were able to tell with 87% accuracy which patients with mild cognitive impairment would go on to develop Alzheimer’s disease in the next year. “We want to be able to identify people to enter clinical trials earlier than they currently do and that’s really what we’ve been aiming at,” said lead researcher Prof Simon Lovestone from the University of Oxford. However, he said it may find a place in doctors’ surgeries in the future. “As long as there is no treatment one can question the value of a test, but people come to the clinic because they want to know what’s happening to them and I currently can’t tell them.” He said he was forced to tell patients to come back in a year and see if their memory problems were any worse. Dr Eric Karran, director of research at Alzheimer’s Research UK, described the study as a “technical tour de force”. However, he warned the current accuracy levels risked telling healthy people they were on course to develop Alzheimer’s which may lead to anxiety and depression. It is unlikely that the test would be used in isolation if it eventually makes its way into clinics. A positive result could be backed up by brain scans or testing spinal fluid for signs of Alzheimer’s. However, Dr Karran did argue this was a step towards making Alzheimer’s a preventable disease. “I think it does, but not immediately. “This gives a better way to identify people who will progress to Alzheimer’s disease, people who can be entered into clinical trials earlier, I think that will increase the potential of a positive drug effect and thereby I think we will get to a therapy, which will be an absolute breakthrough if we can get there. Approximately 99.6 percent of Alzheimer’s disease drug trials are unsuccessful, according to new research from the Cleveland Clinic. Using data from ClinicalTrials.gov – a government website that tracks ongoing clinical trials – researchers discovered that from 2002-2012, 244 drugs had been tested— and only one drug was a success. With 10,000 baby boomers reaching the Alzheimer’s risk period, the need for drug treatment is immediate, the researchers said. Alzheimer’s disease is the most common form of dementia and causes memory, thinking and behavior problems. According to the Alzheimer’s Association, there is no current cure, though some symptoms are treatable. Alzheimer’s memory problems appear to be caused by the formation of two major tissues in the brain – plaques and tangles. Plaques form when beta-amyloid proteins clump together, blocking cell-to-cell signaling. According to Cummings, plaque appears to come first in the degeneration process, but these clusters do not seem to damage the brain’s cells. Tangles are twisted strands of the protein tau. When they begin to form, nerve cells begin to die, causing memory failure, personality changes and other symptoms of the disease. Currently, most drugs have been aimed at preventing plaque buildup, but the high failure rate of these drugs suggests the need for a better understanding of the disease itself, as well as a broader focus on other drug targets, such as the cell-killing tangles. “I would argue that just as you would diversify an investment portfolio, you need to diversify [the drug development] portfolio to ensure there’s a chance for success,” Cummings said. Another consideration is the economic impact of Alzheimer’s disease. According to the Alzheimer’s Association, in 2014, the estimated cost to Americans for the care of those of Alzheimer’s will be $214 billion— and an estimated $1.2 trillion in 2050. Lack of standardization among clinical trials is another roadblock to drug testing success, as inconsistent procedures can make data appear to be more or less successful, Cummings noted. So far, five drugs have been approved for the treatment of Alzheimer’s, yet they only treat symptoms of the disease, not the underlying plaque and tangle process. One explanation for this is that scientists better understand the mechanics of Alzheimer’s symptoms, making it technically more difficult to develop drugs that modify the disease. “Our new science is pointing us toward the plaque and tangle process; if we could arrest that process particularly early, we could keep people at a very high functional level,” Cummings said. Additionally, Cummings pointed out that it takes 10 years for a drug to make it through the pipeline— meaning the science of drugs being tested now is already a decade behind. However, the protocol for testing procedures is unchangeable, meaning this delay is an inherent part of the drug development problem. Developing drugs to combat Alzheimer’s disease is a multi-faceted and complex process, and these researchers hope their findings will highlight the importance of increased efforts. In a breakthrough that may help in developing drugs for Alzheimer’s and other neurological disorders, researchers have developed a 3D view of an important receptor in the brain. This receptor allows us to learn and remember, and its dysfunction can result in a wide range of neurological diseases including Alzheimer’s, Parkinson’s, schizophrenia and depression. The unprecedented view gives scientists new insight into how the receptor – called the NMDA receptor – is structured. “This is the most exciting moment of my career,” said Eric Gouaux, a senior scientist with Oregon Health and Science University in the US. “The NMDA receptor is one of the most essential, and still sometimes mysterious, receptors in our brain. Now, with this work, we can see it in fascinating detail,” he said. The NMDA receptor makeup includes receptor “subunits” – all of which have distinct properties and act in distinct ways in the brain, sometimes causing neurological problems. Prior to Gouaux’s study, scientists had only a limited view of how those subtypes were arranged in the NMDA receptor complex and how they interacted to carry out specific functions within the brain and the central nervous system. Gouaux’s team of scientists created a 3D model of the NMDA receptor through a process called X-ray crystallography. “This new detailed view will be invaluable as we try to develop drugs that might work on specific subunits and therefore help fight or cure some of these neurological diseases and conditions,” Gouaux said. “Seeing the structure in more detail can unlock some of its secrets and may help a lot of people,” he added. A new study links heart disease with increased odds of developing dementia. Researchers found that artery stiffness — a condition called atherosclerosis — is associated with the buildup of beta-amyloid plaque in the brain, a hallmark of Alzheimer’s disease. “This is more than just another example of how heart health relates to brain health. It is a signal that the process of vascular aging may predispose the brain to increased amyloid plaque buildup,” said lead researcher Timothy Hughes, from the department of internal medicine at Wake Forest University in Winston-Salem, N.C.
Plaque builds with age and appears to worsen in those with stiffer arteries, he said. “Finding and preventing the causes of plaque buildup is going to be an essential factor in the prevention of Alzheimer’s disease and extending brain health throughout life,” Hughes added. 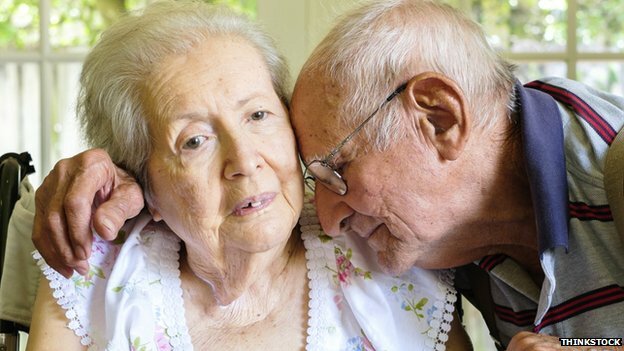 Alzheimer’s disease is the most common form of dementia among older adults. 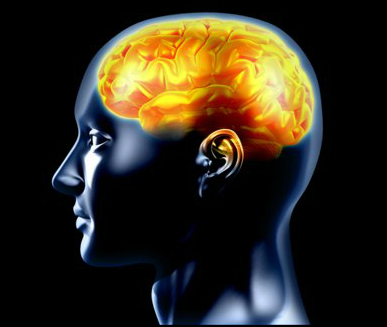 The progressive brain disorder seriously affects thinking, memory and the ability to carry out daily activities. The report, published March 31 in the online edition of JAMA Neurology, looked at brain images and arterial health of patients 83 and older. Cardiologists and neurologists are starting to warm to the idea that heart health and brain health are not independent, but interrelated, said Dr. Kevin King, an assistant professor in the department of radiology at the University of Texas Southwestern Medical Center at Dallas and author of an accompanying journal editorial. For the study, researchers used PET scans to examine plaque development in the brains of 81 dementia-free elderly adults. They also measured the stiffness of arteries by assessing the speed that blood moves through them — a process called pulse wave velocity. Over two years, the percentage of patients with plaque in their brain increased from 48 percent to 75 percent. Moreover, the development of plaque was associated with increased stiffness of arteries, the research team found. Dr. Sam Gandy, director of the Center for Cognitive Health at Mount Sinai Hospital in New York City, welcomed the study. “There is increasing evidence that arterial stiffness plays not just an important role in cardiovascular disease but also in cerebrovascular disease, impaired mental function and dementia in older individuals,” he said. More research of the relationship between high blood pressure, high cholesterol, vascular disease, arterial stiffness and the development of dementia is needed, Fonarow said. King noted that injury to the blood vessels in the brain may dramatically alter the onset and progression of Alzheimer’s disease. “The implication of this study is that we may be able to prevent or at least delay Alzheimer’s disease by proper control of cardiac risk factors,” King added. Reducing heart risks means eating a healthy diet, exercising, maintaining normal weight, minimizing stress and not smoking. These behaviors can help keep blood pressure and cholesterol at safe levels, experts say. Are you a truck driver or shift worker planning to catch up on some sleep this weekend? Cramming in extra hours of shut-eye may not make up for those lost pulling all-nighters, new research indicates. The damage may already be done — brain damage, that is, said neuroscientist Sigrid Veasey from the University of Pennsylvania. The widely held idea that you can pay back a sizeable “sleep debt” with long naps later on seems to be a myth, she said in a study published this week in the Journal of Neuroscience. Long-term sleep deprivation saps the brain of power even after days of recovery sleep, Veasey said. And that could be a sign of lasting brain injury. Veasey and her colleagues at the University of Pennsylvania medical school wanted to find out, so, they put laboratory mice on a wonky sleep schedule that mirrors that of shift workers. They let them snooze, then woke them up for short periods and for long ones. Then the scientists looked at their brains — more specifically, at a bundle of nerve cells they say is associated with alertness and cognitive function, the locus coeruleus. They found damage and lots of it. “The mice lose 25% of these neurons,” Veasey said. This is how the scientists think it happened. The discovery that long-term sleep loss can result in a loss of brain cells is a first, Veasey said. “No one really thought that the brain could be irreversibly injured from sleep loss,” she said. That has now changed. More work needs to be done on humans, she said. And her group is planning to study deceased shift workers to see if they have the same kind of nerve damage. They hope their research will result in medicines that will help people working odd hours cope with the consequences of irregular sleep. 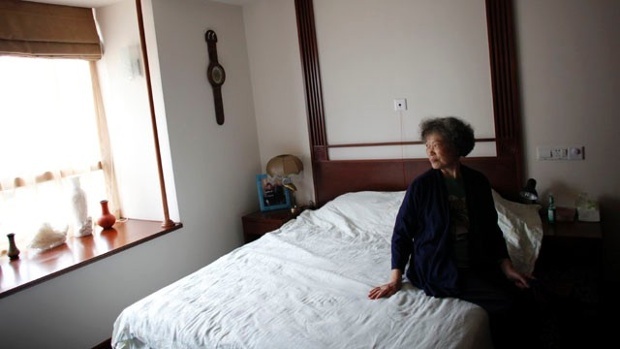 Researchers have suggested that people, who experience chronic sleep disturbance – either through their work, insomnia or other reasons – could face an earlier onset of dementia and Alzheimer’s. whether this is a cause or effect has been unknown. Now, researchers say individuals with chronic sleep disruptions could face earlier onset of Alzheimer’s. The researchers, from Temple University in Philadelphia, PA, have published the results of their pre-clinical study in the journal Neurobiology of Aging. As a start, the team focused on longitudinal studies that showed individuals who reported chronic sleep problems often develop Alzheimer’s disease. Sleep disturbances can be caused by a number of factors, including work, stress, insomnia or other factors. According to the Centers for Disease Control and Prevention (CDC), insufficient sleep is associated with chronic conditions and diseases, such as diabetes, cardiovascular disease, obesity and depression. “The big biological question that we tried to address in this study is whether sleep disturbance is a risk factor to develop Alzheimer’s or is it something that manifests with the disease,” says lead author Domenico Praticò, professor of pharmacology and microbiology/immunology in the university’s School of Medicine. Praticò explains that elevated levels of phosphorylated tau can disrupt the synaptic connection of cells or the ability to transport nutrients or chemicals, or transmit electrical signals from cell to cell. Tau protein is an important part of neuronal cell health, so these elevated levels cause a disturbance in normal function. Since the sleep-deprived mice developed this Alzheimer’s brain pathology before the mice that had normal sleep, the team says sleep disturbances act as a trigger, accelerating these pathological processes and damaging the synaptic connection. The team says correcting sleep disorders could be a “viable therapeutic strategy” to prevent or slow progression of Alzheimer’s disease in people at risk.